My mosaic teacher told me about a mosaic she made with rings that represented the ripples you see in water. Her project, which was on a rain barrel, sounded like fun so I decided to make my own ripples. I started by painting the base blue. 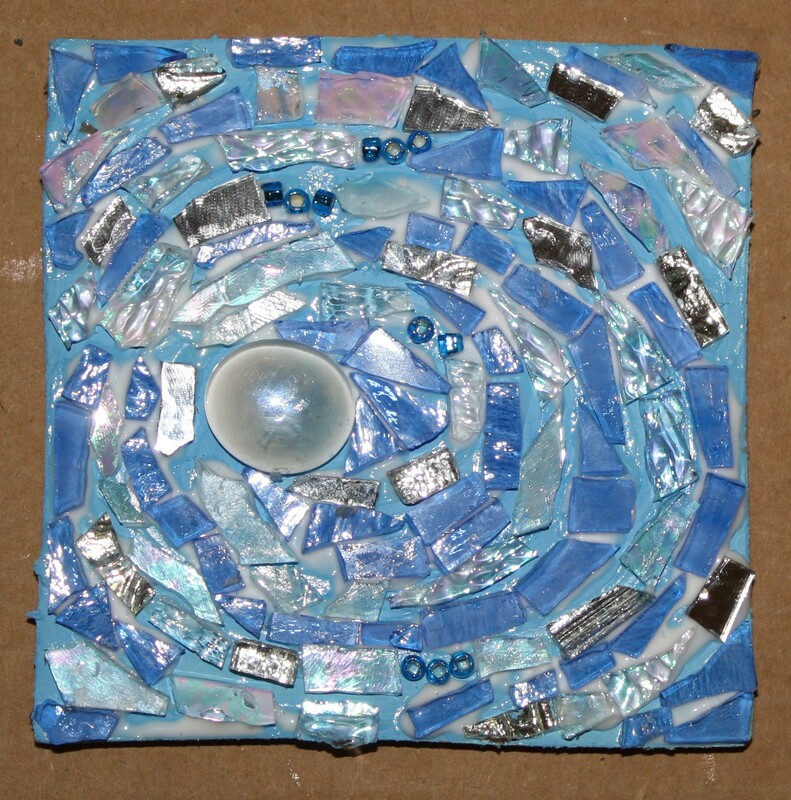 I used clear, iridescent, textured glass and mirrors for the ripples and transparent blue glass between the ripples. Of course the glass gem started the whole thing. Don’t you just love sparkle? I sure do.